The weekend saw the younger teams follow the Under 17’s by taking on Dumbarton in their first pre-season games. The Under 12’s played Dumbarton 13’s on Saturday but as I had travelled to Grenta I couldn’t take in this game. Sunday had two games kicking off simultaneously, Rangers 13’s against Dumbarton’s 14’s and the game I took in which was a Rangers 14’s/15’s team against Dumbarton’s Under 15’s. With eight of Rangers Under15’s off to the Under 16 Milk Cup, Rangers first half team consisted of the remainder of the 15’s squad and a couple of trialists. There was a complete change at the break with Rangers Under 14’s taking the field. Rangers took the lead on six minutes, Carlo Pignatiello’s corner from the left was headed on by a Dumbarton defender towards the back post where Dylan Patterson sent a looping header back across goal and into the far corner of the net. Rangers dominated territorially but it was in the closing minutes of the half before they really threatened the ‘Sons goal again. Three minutes before the break Carlo Pignatiello’s pass freed Adedapo Mebude, who had come on to replace the injured Matthew Shiels, on the right side of the box and the visitor’s keeper did well to block his shot with his legs. On the stroke of half time Carlo Pignatiello passed to Dylan Patterson on the left side of the penalty area and his cutback returned the ball to Carlo Pignatiello around the penalty spot but his effort was too straight and the keeper saved. With Dumbarton now having a significant physical advantage they came into the game more and a slack pass from defence gave them a chance nine minutes into the second half but the shot failed to trouble Nicky Hogarth as it went wide of his left hand post. This Rangers side is a really good footballing side and they responded by going up the other end and doubling their lead, the ball was moved from Billy Gilmour to Zac Butterworth who fed the overlapping Andy Rodden on the left, his cross found its way to the back post where Adedapo Mebude slid the ball into the net. Dumbarton soon had Nicky Hogarth back in action, a powerful attack coming in from the left past two Rangers defenders, the shot was netbound until the Rangers keeper dived to his right to turn the ball wide of the post. Midway through the half Lewis McGrattan set up Andy Rodden for a long-range effort just left of centre that the keeper tipped over. Rangers increased their lead on seventy-two minutes, from a free kick just outside the right side of the penalty area Andy Rodden went for goal, the Dumbarton keeper could only parry and Niyah Joseph was first to react to knock the ball into the net. With just lest than quarter of an hour to go Dumbarton pulled a goal back, it came from a superb turn and shot on the edge of the box that gave Nicky Hogarth no chance as the ball flew into the top corner of the net. Rangers First Half:- Jordan Herron; Michael Hewitt, Jack ???? ?, Rhys Breen, Aaron Reid; Scott Blacklaw, Cammy Wray, Paul McArthur, Matthew Shiels; Carlo Pignatiello; Dylan Patterson. Rangers Second Half:- Nicky Hogarth; Nathan Patterson, Ruaridh McIntyre, Danny Finlayson, Andy Rodden; Kieran McKechnie, Lewis McGrattan, Billy Gilmour, Zac Butterworth; Niyah Joseph; Adedapo Mebude. Footnote:- Rangers Under 13’s drew 1-1 with Dumbarton’s Under 14’s with Rangers goal coming from Blair Rossiter. On Saturday Rangers Under 12’s recorded a 5-1 over Dumbarton’s Under 13’s, the goalscorers were Liam Morrison 2, Robbie Fraser, Reagan Aitken & Rhys Caves. Raydale Park in Gretna was the venue for Rangers Under 20’s latest pre-season game this afternoon, and a good performance particularly in the first half ensured a comfortable win. Only ten minutes had elapsed when Rangers took the lead, Danny Stoney intercepted a slack pass across the Gretna defence just outside the penalty area and he burst into the box before slotting past the keeper. The second goal followed four minutes later, Adam Wilson wide on the right passed in side to Danny Stoney on the edge of the box and he made space for the shot which beat the keeper and found the net. A third goal before the quarter-hour was out put Rangers in easy street, Dylan Dykes took on a defender of the edge of the box before shooting for goal and with the aid of a deflection the ball went over the head of the keeper and into the net. As half-time approached Dylan Dykes sent Ryan Hardie through the inside left channel, as he went round the keeper he was forced wide and his chip for goal from a tight angle was headed off the line by a Gretna defender. Right on the half-time whistle Rangers scored a fourth, Dylan Dykes cross from the right went over the head of Ryan Hardie where Ross McCrorie was well placed to finish with a superb right foot volley. An exchange of passes from the home side on the right side of the Rangers penalty area created the opportunity for a shot on goal but it failed to trouble Robbie McCrorie as it went wide of his right hand post.Rangers were soon back on the attack and a passing move involving Adam Wilson, Darren Ramsay and Dylan Dykes looked to set up the latter for a fifth goal but his shot was wide of the keeper’s left hand post. The fifth goal came on the hour and it was the goal of the game, Kris Gibson sent the ball out to Junior Ogen wide on the right, he cut inside taking on two defender before finding the far top corner with a superb left foot shot. Rangers:- Robbie McCrorie (Lewis McMinn 78mins); Craig Halkett, David Brownlie, Kyle McAusland; Kris Gibson; Adam Wilson (Andy Barrowman 74mins), Dylan Dykes, Darren Ramsay, Ross McCrorie (Junior Ogen 52mins); Danny Stoney, Ryan Hardie (Josh Jeffries 65mins). It was billed as a warm up for Rangers Milk Cup squad but with the second half substitutes used it was really another U17’s side that took on Dumbarton. It was the visitor’s who were first to threaten with an effort from a twenty-five yard free-kick that was only just over. Rangers took the lead on six minutes, Jason Krones released Sam Jamieson who rounded the keeper before knocking the ball into the net. A few minutes later Dumbarton had a decent shout for a penalty, the attack came of the right side of the box and the player looked to be impeded as he took on Kyle Bradley but the referee waved play on. Just after the twenty-five minute mark Liam Burt broke forward before going for goal from distance and it took a fine save from the ‘Sons keeper, diving to his right to turn the ball wide. The second Rangers goal came eight minutes before the break and it was a superb solo effort from Liam Burt, picking the ball up just inside the Dumbarton half his run took him past three defenders and into the box before firing past the keeper. As the game neared the hour mark Aidan Wilson and Andy Dallas exchanged passes on the right side of the box to set up a chance for Andy Barrowman who shot straight at the keeper. Rangers third goal was delayed barely sixty seconds, Jamie Barjonas sent Kyle Clark through the inside left channel and he continued into the box before shooting past the keeper. Rangers came close again soon after with a Jamie Brandon long-range effort the keeper got down to his right to make a save. The keeper was in action again, Jamie Brandon headed the ball over the Dumbarton defence for Andy Dallas who was denied by the keeper at point-blank range. A cross from the left, deep to the back post was the source of the next Rangers chance, Andy Barrowman was on the end of it and from a very tight angle his header went across goal and hit the far post. Midway through the half Rangers grabbed a fourth direct from a free-kick, Jason Krones stepped up to blast the ball through the wall and into the net. With ten minutes remaining Rangers scored again from the penalty spot, Jamie Brandon and Andy Dallas played a one-two on the right side of the penalty area and as the former broke into the area he was fouled by a defender with Jamie Brandon converting from twelve yards. Dumbarton got a consolation goal with a spotkick of their own in the final minute, as their attacker went through the middle into the box where he was fouled by Jason Krones and Lewis McMinn was sent the wrong way from the spot. Rangers Squad:- Kieran Wright (Gk), Lewis McMinn (Gk), Aidan Wilson, Ross Lyon, Kyle Bradley, Jason Krones, Kieran Balfour, Grant Nelson, Jamie Barjonas, Sam Jamieson, Liam Burt, Andy Dallas, Andy Barrowman, Kyle Clark, Jamie Brandon, Max Ahsmore. Rangers Under 20’s had a comfortable win against Muirkirk Juniors at Burnside Park tonight, with all due respect to Muirkirk the scoreline probably reflects the standard of opposition rather than a scintillating Rangers performance. Muirkirk are not one of the top sides in Junior football but new coach Jose Quitongo will I’m sure bring an improvement given time. Rangers took the lead after eight minutes, the home keeper failed to gather Darren Ramsay corner and Danny Stoney scored from close range. The game then went through a period where Rangers failed to covert any chances they created and the home side didn’t look capable of causing the Rangers defence any problems. The second goal eventually came eight minutes before the break, Darren Ramsay went past two defenders as he made his way along the eighteen yard line before passing to Ross McCrorie on the left side of the box and his cross come shot beat the keeper and found the far corner of the net. A couple of minutes later Ryan Hardie was sent clear on the right where he continued into the box before passing inside for Danny Stoney to score with a simple finish. The second half was almost ten minutes old when Rangers scored a fourth, Darren Ramsay was in possession on the right hand byline and he passed to Danny Stoney inside the box,he side-stepped a defender before shooting past the keeper. The fifth followed five minutes later, Junior Ogen on the right side of the Muirkirk penalty area passed along the edge of the box to Darren Ramsay who’s shot found the bottom left hand corner. Rangers then completed the scoring with a three goal burst either side of the half-hour. The first came when the Muirkirk defence missed a long ball and Kyle McAusland raced clear, he continued into the box before unselfishly knocking the ball to his left to given Ryan Hardie a tap in. A Darren Ramsay pass then allowed Kyle McAusland to break clear again and on this occasion he took the responsibility to find the net himself. The final goal came when Ryan Hardie broke down the left and into the penalty area before beating the keeper with a neat finish. Rangers:- Robbie McCrorie; Craig Halkett, David Brownlie (Junior Ogen HT), Luca Gasparotto; Kris Gibson; Kyle McAusland (Kyle Clark 76mins), Darren Ramsay, Dylan Dykes (Jamie Brandon 76mins), Ross McCrorie (Adam Wilson HT); Danny Stoney; Ryan Hardie. Rangers eventually overcame stiff resistance from Ayr United at Murray Park tonight, it wasn’t until Kyle Clark’s late third goal that the game was made save. The first chance of the game came after ten minutes, Ross McCrorie was sent down the left and he cut inside a defender before going for goal with the Ayr keeper standing up to make the block. A couple of minutes later Josh Jeffries cut in from the right and drove towards the Ayr penalty area before shooting just wide of the keeper’s right hand post. Midway through the half patient passing across midfield gave Jamie Brandon the chance of a shot from the right side of the box, the ball broke kindly for Adam Edgar around the penalty spot and it took a brilliant save low to his right from the Ayr keeper to deny the trialist. A few minutes later Kyle Clark wide on the right passed inside to Jamie Brandon who moved the ball onto Josh Jeffries at the edge of the box and his shot beat the keeper low to his left. Only two minutes of the second half had elapsed when Rangers increased their lead, when the ball came in from the left Adam Edgar took a great first touch before beating the keeper with a neat finish. A piece of slackness at a goal kick at the other end presented the visitors with a chance and it took great challenge from Aidan Wilson to clear the danger. On fifty-two minutes Adam Edgar on the left side of the penalty area played in Andy Dallas, he looked to have sidestepped the keeper but when he attempted to knock the ball into the net the keeper dived to his left to make a great recovery and produce a fine save. A minute later Ayr capitalised by reducing the deficit, from a cross midway into to Rangers half wide of the left and a header at the right side of the box beat Lewis McMinn. Rangers grabbed the clinching third with seven minutes remaining, Adam Edgar got a flick on to a long ball which was collected by Andy Dallas, who passed to Kyle Clark on the left side of the box and despite the keeper getting a touch on the shot he was beaten to his left as the ball rolled into the net. Rangers had one final chance when Adam Edgar had a great turn and shot on the edge of the box but was denied by the keeper who dived to his left to turn the ball wide. Rangers Squad:- Lewis McMinn (Gk), Aidan Wilson, Ross McCrorie, David Brownlie, Kyle Bradley, Max Ashmore, Kyle Clark, Jamie Brandon, Adam Edgar, Andy Barrowman, Josh Jeffries, Andy Dallas, Ross Lyon, Kieran Balfour. Rangers Under 20’s lost their friendly at Beith this afternoon but the scoreline doesn’t tell the full story. After taking the lead they proceeded to create and miss a series of first half chances that should have put him out of sight, this added to a bit of slackness at the other end meant they actually went in at the break behind. The second half was a completely different story with Rangers rarely threatening the Beith goal, the home side added another couple of goals to run out comfortable winners. Rangers first chance came on twelve minutes when Dylan Dykes found himself free on the left side of the box, but the keeper stood tall to block his effort. Rangers took the lead a minute later, Darren Ramsay sent a free-kick into the box from the left, when it was headed to the edge of the box Ryan Hardie gathered before beating the keeper with the aid of a slight deflection. Five minutes later another Darren Ramsay cross from the left was headed out this time as far as Dylan Dykes, his shot beat the keeper but bounced of the top of the crossbar and over. On twenty minutes Luca Gasparotto got on the end of a Ryan Hardie cross from the left, his header looked destined for the net until the keeper dived to his left to knock the ball away. Next to have an effort on goal was Danny Stoney, he drove at the Beith defence before shooting from the edge of the box with the keeper saving low to his left. Barely less than sixty seconds later Dylan Dykes fed Ryan Hardie on the right side of the penalty area and his shot across the keeper bounced of his right hand post. The home side then equalised just before the half-hour, the attack was created down the right and when the cross came into the box a glancing header beat Robbie McCrorie low to his right. Three minutes later they took the lead, Darren Ramsay was caught in possession twenty-five yards from goal and one pass sent the Beith attacker clear on the left side of the box and he slotted the ball past Robbie McCrorie. Rangers tried to reply when Dylan Dykes passed forward to Darren Ramsay who drove towards the penalty area, with options right and left he opted to go for goal but shot just wide of the keeper’s left hand post. In the next attack Ryan Hardie played the ball out to Danny Stoney on the right, his cutback found Darren Ramsay arriving just inside the box and the keeper did well to turn his shot over. The keeper was soon in action again when he got down to parry Junior Ogen’s shot from just outside the box and was quickly back on his feet to block Luca Gaparotto’s close range effort from the rebound. Junior Ogen then too a quick corner to Darren Ramsay on the left hand angle of the box with the keeper diving to his left to save. It took a great challenge from Luca Gaparotto to prevent the home side increasing their lead, it was created by some neat play on the left hand byline and the cutback opened up an opportunity for a shot which Luca Gasparotto did well to deflect the ball over. A long ball and knock on then created another chance for Beith, the shot from inside the right side of the penalty area was saved by Lewis McMinn at his near post. Midway through the half Rangers threatened for the first time in the second half, Craig Halkett rising to head Darren Ramsay’s corner from the left towards goal and the keeper got down low to save on the line. Ten minutes later an exchange of passes through the centre opened up the Rangers defence and the ball was placed past Lewis McMinn. With just over five minutes remaining Beith completed the scoring, a mistake from Ross McCrorie allowed their player to break into the right side of Rangers penalty area and shoot across Lewis McMinn and into the bottom corner. Rangers:- Robbie McCrorie (Lewis McMinn HT); David Brownlie (Josh Jeffries 55mins), Craig Halkett, Luca Gasparotto, Kris Gibson; Danny Stoney, Darren Ramsay (Max Asmore 81mins), Dylan Dykes, Adam Wilson (Ross McCrorie 73mins); Junior Ogen (Kyle McAusland 59mins), Ryan Hardie. Rangers Under 17’s opened their pre-season with a comfortable win against Dumbarton at Murray Park tonight. All three trialists found the net before Sam Jamieson and an Andy Dallas double completed the scoring. A quick break from defence midway through the first half created the opening for the first goal. A quick throw from Lewis McMinn found Josh Jeffries wide left on the halfway line, he looked up to find the Trialist No.9 breaking into the box, he lobbed the ball over the advancing keeper and into the net. Five minutes later Andy Barrowman took on a defender on the left side of the box and when he was tripped the referee pointed to the spot, Max Ashmore stepped up but was denied when the keeper dived to his right to make a fine save. Just after the half-hour Max Ashmore’s pass found Trialist No.9 just inside the penalty area, a good first touch gave him the chance to lob the keeper who just got a enough of a touch on the ball to divert it wide of his right hand post. The second goal came six minutes before the break Jamie Brandon on the left passed to Andy Barrowman inside the box, he took on a defender on the left hand byline before finding the net from a tight angle. Only eight minutes had passed in the second half when Rangers scored again, Adam Edgar on the right side of the box passed to Kyle Clark inside the area, his shot from close range was blocked by the keeper but Adam Edgar followed up to knock the ball into the net. On the hour mark the Dumbarton keeper failed to gather Liam Burt’s long-range shot and Sam Jamieson followed up to knock the ball into the net. Midway through the half a superb Kieran Wright save denied the visitor’s a consolation goal, from a corner from the right he dived to his left to turn away a close range header. Rangers immediately responded when Sam Jamieson dispossessed a Dumbarton defender in the inside right channel, he continued into the box before squaring to give Andy Dallas the opportunity to slot past the keeper. The final goal came with eight minutes remaining, Liam Burt went past a couple of defenders as he broke to the right side of the box, his ball across goal made its way to Andy Dallas at the back post, his shot was blocked by the keeper who was left helpless as Sam Jamieson crashed the rebound of the underside of the crossbar, with no goal line technology Andy Dallas did not wait around as he pounced to score from close range. There was still time for a final chance when Kyle Bradley rose to head Sam Jamieson’s corner from the right goalwards with the Dumbarton keeper diving to his left to knock the ball away. Rangers Squad:- Lewis McMinn (Gk), Kieran Wright (Gk), Aidan Wilson, Jamie Brandon, Ross McCrorie, Kyle Bradley, Max Ashmore, Adam Edgar, Kyle Clark, Trialist No.9, Andy Barrowman, Josh Jeffries, Grant Nelson, Liam Burt, Sam Jamieson, Kieran Balfour, Andy Dallas. Rangers Under 20’s opened their pre-season schedule with a win against Airdrie at Murray Park tonight. There was only three minutes on the clock when Darren Ramsay tested the keeper from a thirty yard free-kick with the keeper getting down to his left to turn the ball wide of the post. Two minutes later Rangers took the lead and it was a disaster for the Airdrie keeper, Dylan Dykes through ball was intercepted by a defender but his high bouncing pass back saw the keeper take a fresh air swipe and the ball bounced into the net for an Own Goal. Just after the ten minute mark Adam Wilson laid the ball back to Kris Gibson on the left side of the penalty area and his shot on goal was only just wide of the keeper’s right hand post. The second goal was to come before the half was a quarter of an hour old, Ryan Hardie and Junior Ogen exchanged passes on the edge of Airdrie’s box to sent up a chance for Darren Ramsay from around the penalty spot, the keeper stood tall to parry but the ball broke to Danny Stoney on the right side of the box to fire into the net. Airdrie had a chance a minute later following a mix up in the Rangers defence and only a superb Luca Gasparotto challenge cleared the danger. A couple of minutes before the half-hour Rangers increase their lead, a solo run from Junior Ogen took him past two defenders and the keeper, he seemed fluff his lines when he tried to knock the ball into the net but it broke to Dylan Dykes to net from close range. The visitor’s tried to reply with an attack on the right side of Rangers penalty area and Robbie McCrorie was forced to dive high to his left to make the save. Just after the half-hour Ryan Sinnamon sent Danny Stoney towards the byline on the right, his cutback found Junior Ogen arriving at the edge of the box but his shot was narrowly wide of the keeper’s right hand post. Eight minutes before the break Ryan Hardie passed to Junior Ogen on the left side of the box as he tried to go past a defender the ball broke back to Ryan Hardie in front of goal with the Airdrie blocking with his legs. Airdire were first to threaten after the break with an attack down the left, when the cross came in the header flashed wide of Robbie McCrorie’s right hand post. Ten minutes into the half Rangers scored again, Dylan Dykes sent Ryan Sinnamon clear on the right and from his low driven cross a defender diverted the ball past his own keeper for an Own Goal. Midway through the half Rangers grabbed a fifth, Junior Ogen got to the byline on the left and from his cutback Ryan Hardie took his time to pick his spot in the net. As the game entered the final fifteen minutes Airdrie attacked on the right with Robbie McCrorie getting down to his left to make the save. The visitor’s kept plugging away and grabbed two goals in as many minutes to reduce the deficit. An exchange of passes opened up the centre of Rangers defence allowing the striker to advance into the box and slot the ball past Lewis McMinn. Barely sixty seconds later from another attack on the right side of Rangers penalty area Lewis McMinn got down to his right to save the initial shot but the ball was bundled into the net from close range. Rangers:- Robbie McCrorie (Lewis McMinn 79mins), Ryan Sinnamon (Ross McCrorie 67mins), Craig Halkett, Luca Gasparotto, Kris Gibson; Danny Stoney (Kyle Clark 79mins), Darren Ramsay (Max Ashmore 67mins), Dylan Dykes, Adam Wilson (David Brownlie HT); Ryan Hardie (Kyle McAusland 67mins), Junior Ogen (Jamie Brandon 67mins). A few months after deciding that the destination for this summer’s city break was Belgrade I remembered reading an article that rated FK Partizan Belgrade’s Youth School as second only to Ajax. So I thought it would make an interesting post for the blog, a comparison with Rangers youth setup, see were they differ and perhaps areas we could learn from. When I contacted the club, from the initial e-mail until I visited the Partizan Stadium they have been superb. I believe they saw it, however small, as an opportunity to promote their club. As a club playing in one of Europe’s smaller countries (population around 7 million), being out with the big TV markets and the country’s economy facing some stiff challenges, with little money to buy players Partizan are well aware of the need to produce their own. The study was carried out by The International Centre for Sports Studies (CIES) in Switzerland. It looked at the top divisions in the 31 European leagues and assessed the number of players produced by each clubs youth systems playing in these leagues. Ajax came out on top with 69 players playing in Europe’s top divisions with FK Partizan Belgrade a close second with 66 players. A look at a few of these players highlight how successful the school has been in recent years. Back in late 2009 Manchester United signed an agreement to sign Zoran Tošić and team-mate Adem Ljajić. The deal for Tošić went ahead in January 2010 for a reported £7 million but they withdrew their option to sign Ljajić. 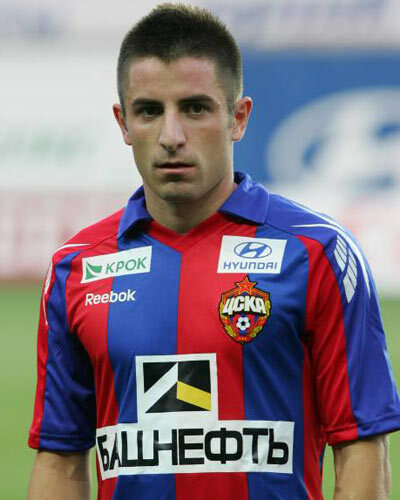 Although Tošić struggled to make the breakthrough at United he moved on to CSKA Moscow for a similar fee and has been a regular in the Champions League in recent years. His colleague Ljajić didn’t have to wait long for his big move as he was immediately snapped up by Fiorentina for around €8 million. He has since moved on to Roma for a reported €11 million. Two recent Manchester City recruits further emphasize the quality produced at Partizan. Their £22 million signing from Fiorentina Stevan Jovetić came through the Partizan system before moving to Italy for £8 million. His colleague Matija Nastasić followed a similar path, moving to Fiorentina in a deal worth approximately €2.5 million, before Man City paid around six times that for his services. A few of the next generation have moved on in recent years, 22-year-old Miloš Jojić joining Broussia Dortmund in January this year for around £2 million, At the beginning of last season Anderlecht paid a club record fee of €5 million for 19-year-old striker Aleksandar Mitrović. 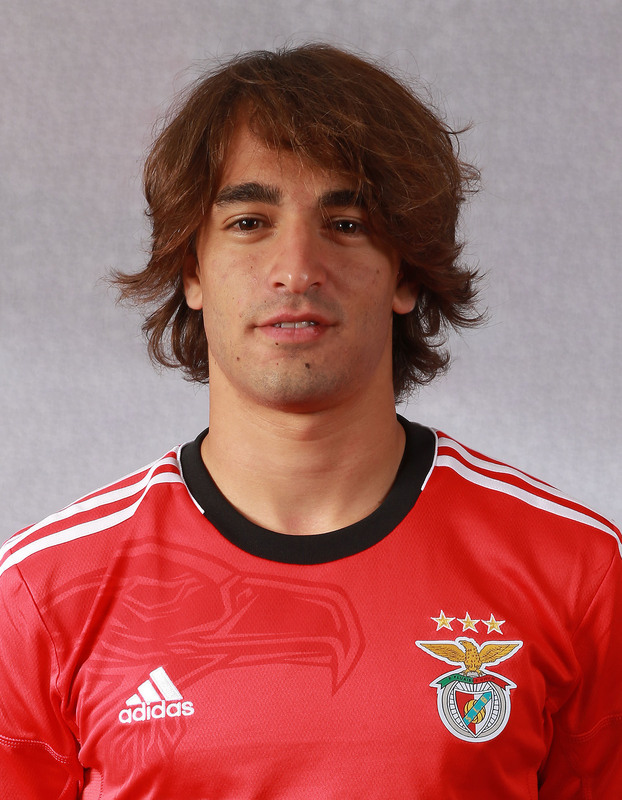 In recent weeks Liverpool have been linked with a £25 million move for Benfica’s 20-year-old Lazar Marković who moved to the Portuguese club from Partizan only a year ago for around €8 million. This is only a sample, there are many more that have left Partizan for significant transfer fees. The following may not be names familiar to Rangers supporters, Živko Živković, Nikola Petrović, Nemanja Petrović,Miloš Ostojić, Nikola Ninković, Darko Brašanac, Andrija Živković, Nikola Drinčić, Saša Ilić, Danko Lazović, Petar Škuletić, Ivan Šaponjić, Nikola Gulan, Danilo Pantić. These were first team squad players from last season who have come through the Partizan school. A few like Saša Ilić and Nikola Drinčić have left the club and had careers around Europe before returning. Then there is the new generation like Andrija Živković already capped by Serbia at 17 and Danilo Pantić another 17-year-old that has broken into the first team. So how do they do it and how does it differ from Rangers ? Like Rangers Partizan recruit from the age of ten through to eighteen, both clubs coach players below the age of ten on a less formal basis. Where as Rangers can only sign a maximum of 20 players at each age group, Partizan are only limited by the fact there is only one team for each age group and the quality of the available players. Should there be an exceptional year of talented players they may recruit more than in less productive years. The four oldest age groups U17’s, U16’s, U15’s & U14’s compete in the Serbian National Youth Leagues, and the U13’s and U12’s play in the Belgrade youth leagues, below under 12’s they compete in some competitions and play friendlies. Although it may not be high on the list of priorities the club are proud of the fact that they have won more Serbian youth titles than any other club, winning three of the four available in the most recent competitions. This differs greatly from Scotland where we are completely out of step with the rest of Europe and effectively don’t have a competitive youth league for our top clubs. The Under 20 league is not a youth league with so many overage players allowed, and it is also an age that wouldn’t be considered “Youth” in Serbia and many other countries. When I tried to explain the rational of the Development Leagues (basically a series of friendlies) to the people at Partizan they found it hard to comprehend. Another difference between the two countries is there is no formal compensation scheme if a youth player moves between clubs in Serbia. It is left to the clubs to negotiate and come to an agreement, where as in Scotland there is an agreed compensation formula. Rangers Murray Park facility is up there with the best but it’s probably a wee bit behind Partizan’s facility The Sports Centre “Partizan-Teleoptik”, also known as “Zemunelo”. 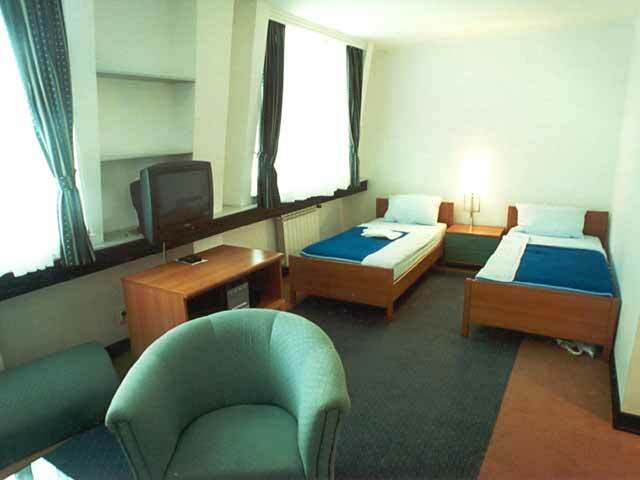 It is located in the northern Belgrade suburb of Zemun and was opened in 1998. The Youth School itself has been in operation since the 1950’s. 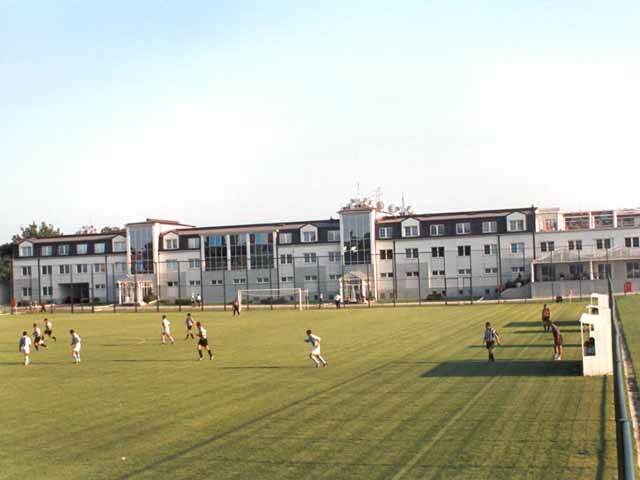 The complex has seven grass and two” latest generation” all-weather pitches , but the main difference is that the building also has 19 apartments (14 two and three bed rooms for players and five for the technical personnel). There are also plans to increase this number to 56 apartments and a boarding school, the club currently uses hotels if the current capacity is insufficient. This allows Partizan to scout and recruit players not just from around Serbia but from other former Yugoslav nations. Their geographical location may be a slight advantage as the nearest alternative area for Rangers to scout just happens to be the biggest and richest football economy in Europe. It doesn’t mean we shouldn’t try though. A similar setup has to be the long-term aim for Rangers. With the commitment in time and money required from families to commit to pro-youth it is becoming increasingly difficult for Rangers to recruit from out with West Central Scotland. This was highlighted with the recent closure of Rangers centre in Edinburgh, and I don’t believe we have any scouts in Dundee or Aberdeen. When I asked how many youth scouts Partizan employed, the answer was “we do employ professional scouts but every Partizan fan is also a potential scout”. A few players within the school were initially recommended by enthusiastic fans and of course this service is free. I feel this concept would alien to Rangers. This is one aspect where Partizan leave Rangers a long way behind. There has been talk at various times of Rangers having a B Team in the lower leagues, or linking up with a smaller club. The “Teleoptik” in “The Sports Centre “Partizan-Teleoptik” refers to FK Teleoptik. They play in The Serbian League Belgrade, which is one of four regional leagues in the third tier of Serbian football. The club is Partizan’s nursery team or as they were described to me as “part of the Partizan family”. It is a natural progression path for an eighteen year old to move to Teleoptik to gain some experience before returning to Partizan’s first team squad, their most recent first team squad had five players on loan from Partizan. Partizan also loan players to other clubs to gain valuable experience. Where as we currently have eighteen year olds that barely play any competitive football. An added bonus is the FK Teleoptik also have their own youth teams, under the watchful eye of Partizan coaches and at least one first team squad player progressed through the Teleoptik youth teams and on to Partizan. For the past seven years Partizan have also organised an Under 17’s international youth tournament that has seen the participation of top European clubs side such as Real Madrid, Bayern Munich, Panathanaikos, Roma, Olympic Marseille, FC Porto, CSKA Moscow, Barcelona, Fiorentina, Olympiakos. The club have won the tournament on four occasions with Real Madrid being successful on the other three. In the short-term I would love to see Rangers compete in such a tournament, I believe we have a good batch of players moving into the Under 17’s age group over the next 1 to 3 years and this would be a good measure of their progress. I would also like to see Rangers organise a youth tournament of their own, not only would it assist in the development of young players but it promotes the club to a wide audience. When I asked the question “What do you think is the key ingredients that make the FK Partizan Youth School successful ?”. There was no magic bullet or secret formula but three aspects that should be at the core of any youth academy. Hard work, quality scouting to identify the talent and a high standard of coach to develop the players. Thanks to secretary Dragan Susnjar for replying to my initial e-mail, to Gordan Petrić for arranging things and especially to Marketing Director Snežana Fiipović and Marketing Manager Atila Hasanagić for giving me their time and an insight into the Partizan Youth School.